Are you wondering how to become a programmer? For those who are highly intelligent, one career option that might fit their needs and possibly their passion is computer programming. 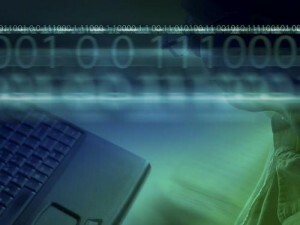 Computer programmers are in high demand as technology continues to change and evolve rapidly. For those that have the skill set needed to be a programmer, the career pays well and can be fun. If one is looking for a career based simply on potential to earn income, deciding to become a computer programmer is probably not the right option as they will burn out quickly. For many programmers, they enjoy programming a great deal and would continue to do it even if they were not paid. It is vital to understand that many programmers spend hours typing solo in front of a computer each day with very little other interaction. Highly social individuals will not find themselves well suited for this career path. For those with an interest in programming, the first place to turn is one of the numerous books that have been written on the subject. A quick search on Amazon reveals that there are hundreds based on the various languages and programming specialties. A book can provide a basic understanding of what is necessary and help the potential programmer to learn an imperative scripting language which is the first step of the programming process. Deciding which language to learn should be based on the specific field of programming in which one would prefer to specialize. For example, game programmers need to learn a different language than those working with databases. It is important to read the reviews before selecting a book as many of the reviewers can provide practical insight regarding the value of the book and what can be learned from it. Many books claim that one can learn to become a programmer in 7 days but it truly takes a significant time investment to thoroughly learn the programming language. The amount of practice is critical and learning is a cumulative process with improvement every day. The more time one is able and willing to spend developing and writing code, the better they will be at the process. No education is necessary to become a computer programmer but an associate or bachelor’s degree in computer science or a related field can be helpful in obtaining higher salaries and greater opportunities for advancement. The best way to launch a career in programming is to start in a large company with an IT department and showcase various programming abilities and skills. Pay varies for different types and levels of programmers. Junior programmers average a salary of $30,000 per year while senior level game programmers can bring home $80,000 per year or more. Many large companies also offer stock options to their programmers. Learning the language and necessary technology is key to becoming a productive and profitable programmer. However, the desire and drive to continue practicing and honing the skill is most indicative of success in the field. Those with a passion for developing various types of games or software will find success.